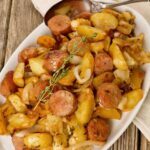 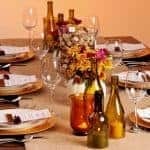 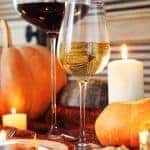 When planning a traditional Thanksgiving dinner with all the trimmings, deciding on what appetizers to serve can be a bit of a challenge. 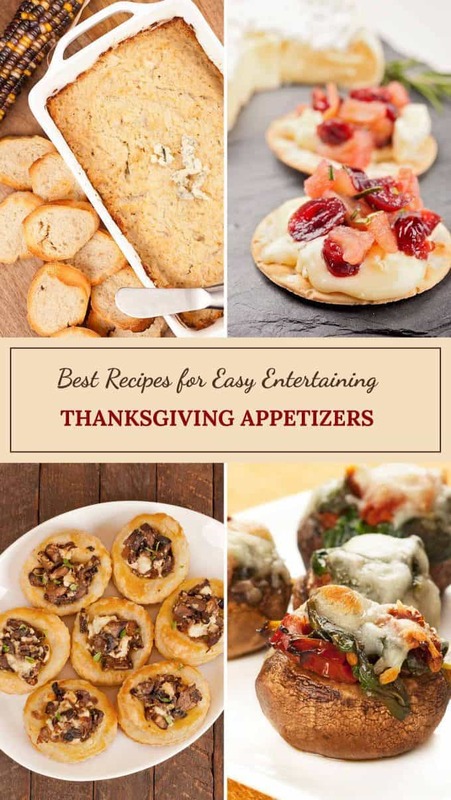 Here we’ve chosen five make-ahead appetizer recipes to add to your Thanksgiving menu that feature seasonal ingredients like apples and cranberries, and year-round favorites like mushrooms and cheese. 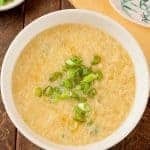 One of our favorites is the hot Cauliflower and Blue Cheese Dip. 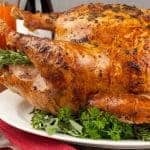 We always make it a day or two in advance and bake it just before we’re ready to serve. 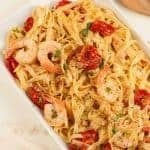 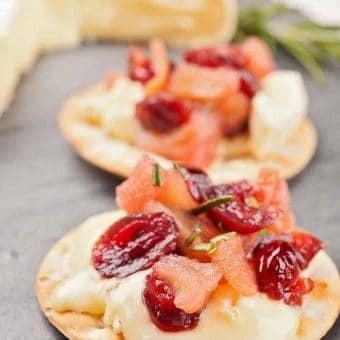 Slices of toasted baguette or an assortment of crackers in various shapes and flavors are the perfect accompaniment and make a pretty presentation. 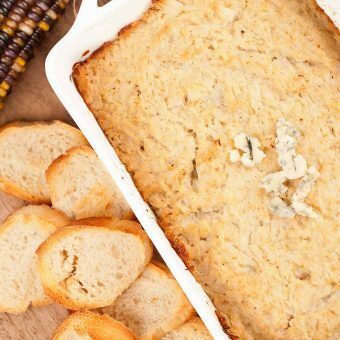 Cauliflower & Blue Cheese Dip- Serve this easy-to-prepare, hot appetizer dip made with puréed cauliflower, blue cheese, cream cheese and mayo with crackers or slices of toasted baguette. 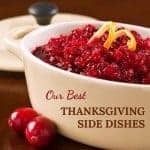 Apple Cranberry Chutney- Perfect for serving with soft, ripe cheeses like camembert or brie, or a sharp cheddar this apple cranberry chutney is easy to prepare and full of flavor. 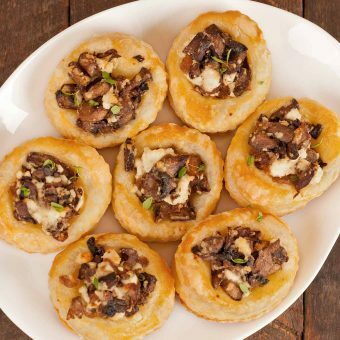 Mushroom and Goat Cheese Pastry Bites- An easy appetizer recipe of puff pastry cups filled with sautéed mushrooms, shallots and goat cheese that can be made in advance and reheated just before serving. 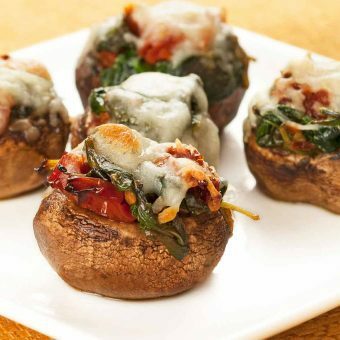 Spinach and Sun-Dried Tomato Stuffed Mushrooms- A tasty appetizer of bite-sized, baby portobellos (cremini) filled with sauteed spinach and sun dried tomatoes and topped with melted Asiago cheese. 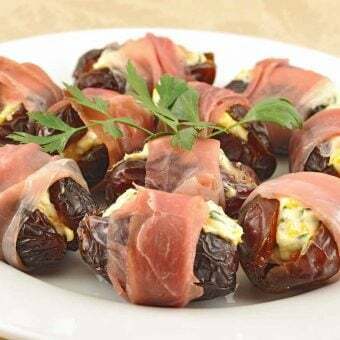 Orange-Basil Stuffed Dates with Prosciutto- A simple combination of cream cheese, orange zest and fresh basil fills these delicious prosciutto-wrapped Medjool dates.